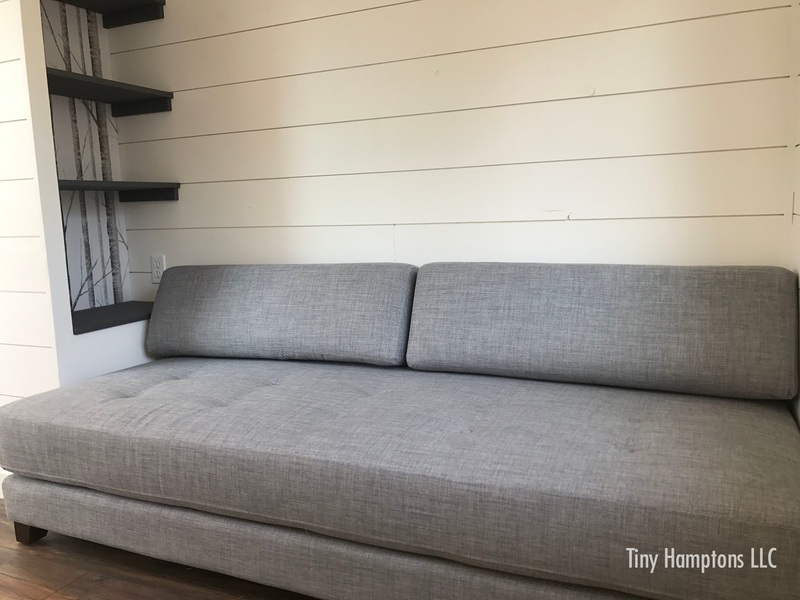 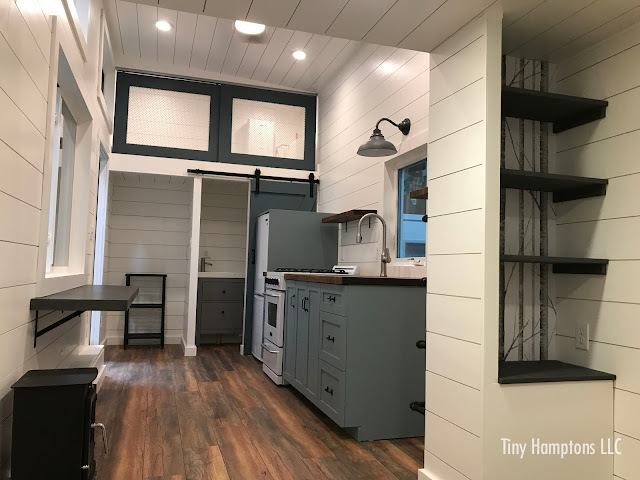 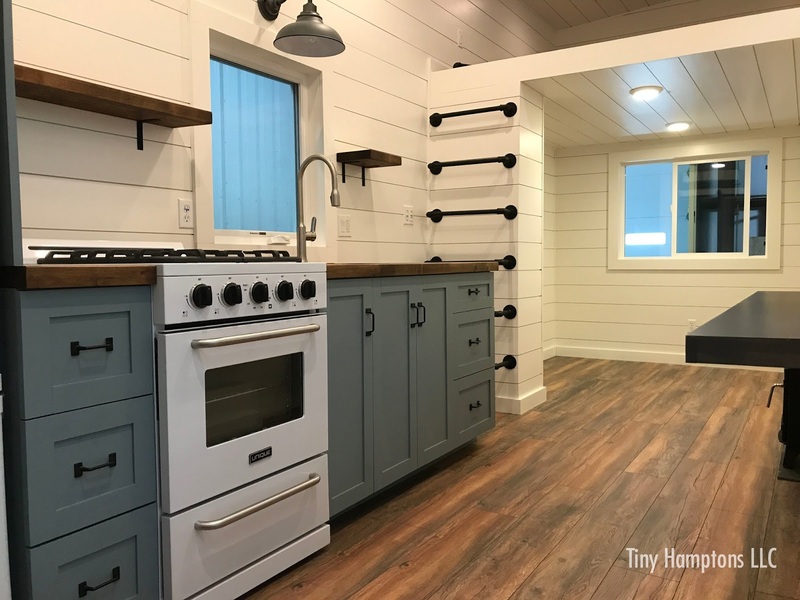 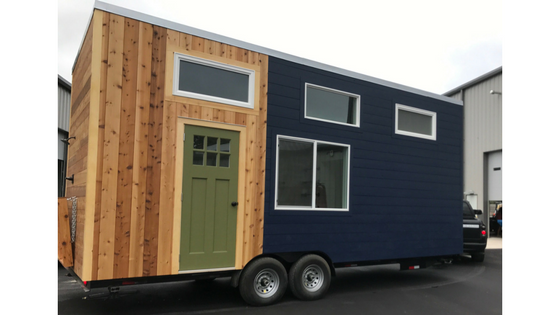 The Sparrow is the newest tiny home available from Tiny Hamptons LLC! The 288 sq ft home was custom built for repeat clients of the company, and it's just as cute as the company's other homes; the Montauk and the Watermill. 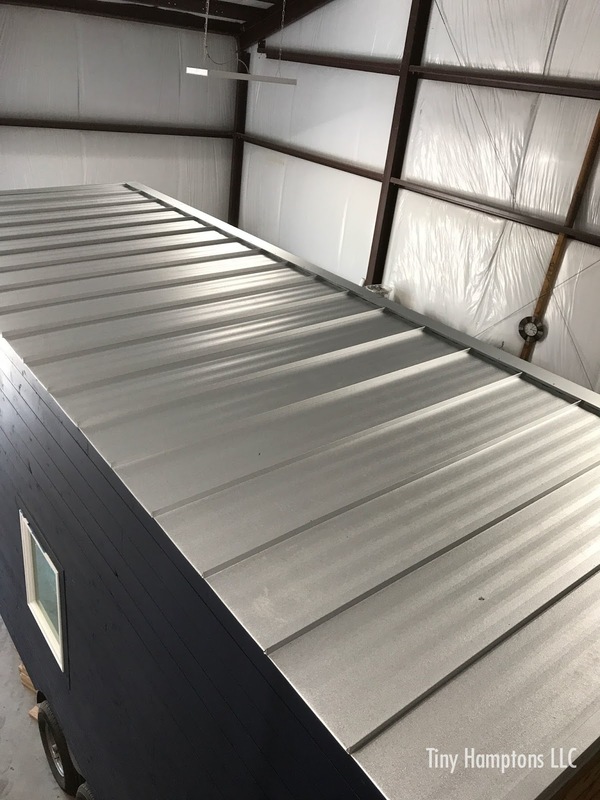 The exterior features horizontal and vertical cedar siding, a standing seam metal roof, an outdoor shower, and a foldup deck. 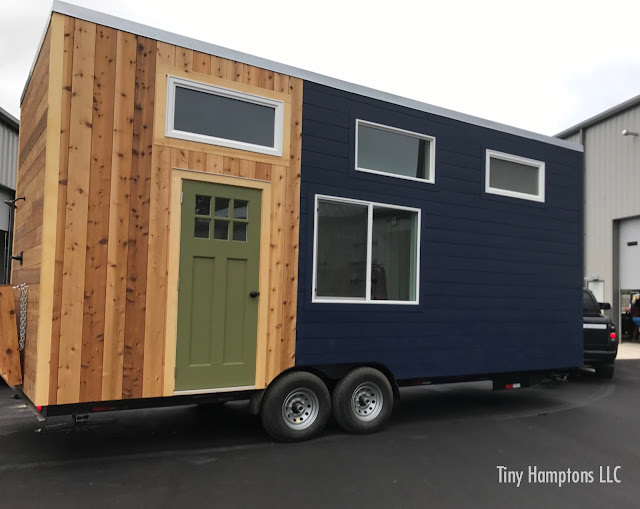 Inside is a pine shiplap interior with a living room, a 64 sq ft bedroom loft, a 24 sq ft closet loft, and a bathroom with a composting toilet. 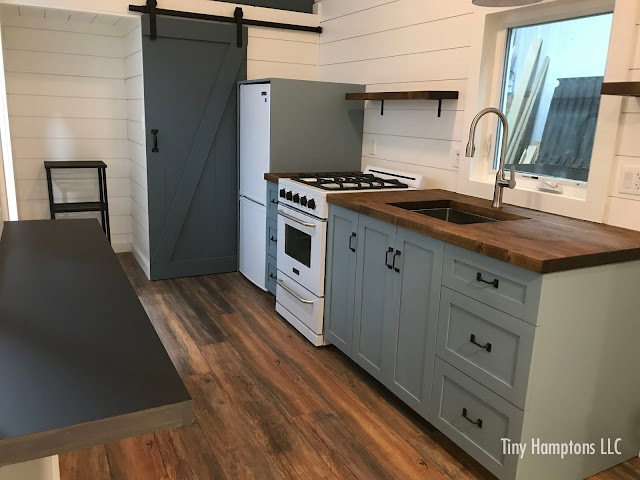 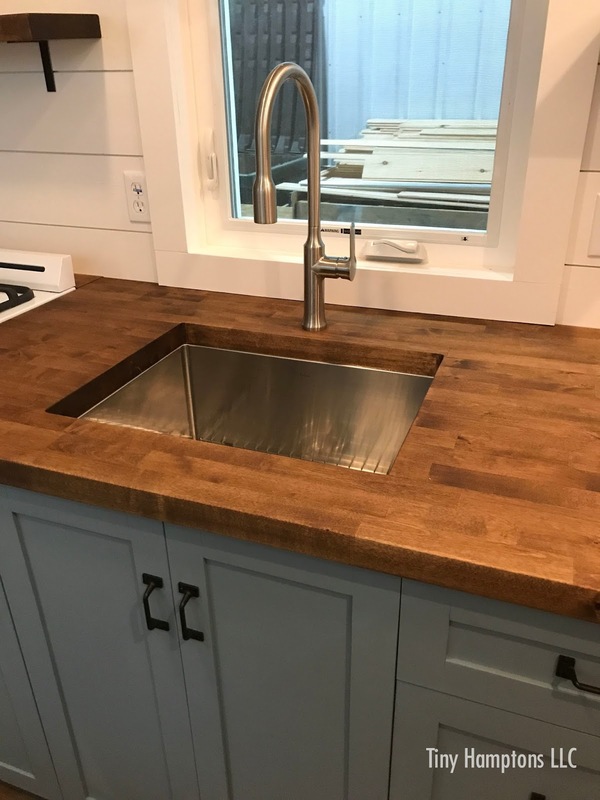 There's also a full kitchen that comes with butcherblock counter tops and custom kitchen cabinets! 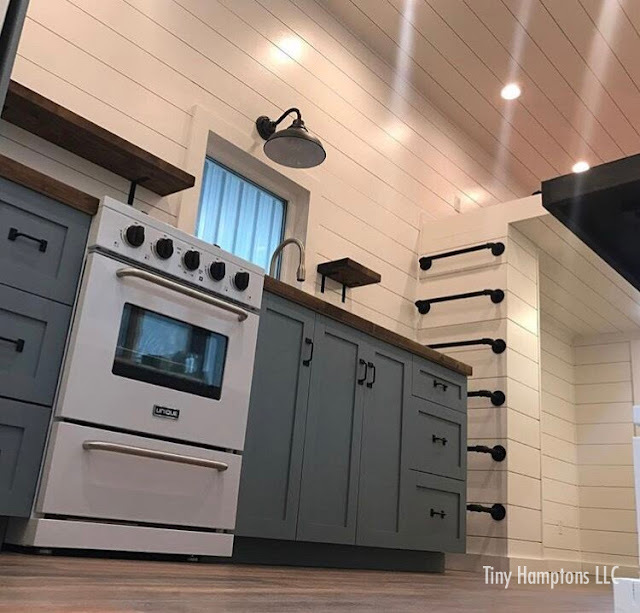 For more information and/or inquiries on The Sparrow, contact Tiny Hamptons here!